Aerospace company Airbus has been awarded a £3.9 million (about $5.2 million, AU$7 million) contract to design a new Mars rover. The brief came from the European Space Agency (ESA), with the aim of collecting and transporting soil samples left by the planned 2020 Mars rover – also currently in construction between ESA and Airbus. The new rover will be designed at Airbus’s site in the UK town of Stevenage, just north of London, and is another boon to the UK’s burgeoning space sector, which is now worth an estimated £13.7 billion to the nation’s economy. UK Science Minister Sam Gyimah praised “the remarkable new project, which will see samples brought back from Mars to Earth for the first time ever”, and which “demonstrated Britain’s world-leading scientific and engineering innovation”. Airbus is perhaps known best as a manufacturer of civilian airplanes, though the Netherlands-based company has used its aeronautics know-how to expand into the helicopter market and open a Defence and Space division. 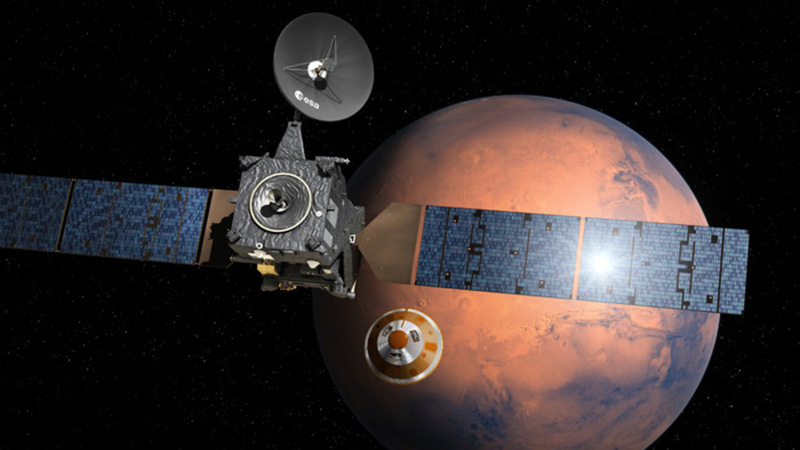 ESA have collaborated previously with Airbus on a variety of satellite systems and cargo spacecraft, as well as exploration missions to both Mars and Venus. Other projects in-development include a sun-observing satellite (Solar Orbiter) and a near-infrared telescope for observing dark matter.